A heavy storm passed through our mountains at the end of last March. It was a Sunday evening and it had been snowing pretty heavily for a few hours when the electricity went off. It was real quiet, as it is here when it snows. And soon it all began. Our big oaks were being stressed by heavy wet snow. Unable to hold the weight, big limbs started to creek then snap and Kaboom! Hitting whatever was in its way. The mood became one of "Uh oh, this is really intimidating." Because within a few minutes the same creaking, cracking, Kaboom! echoed through the neighborhood, even at times shaking the cabin. After a long night of no sleep, I stoked up the fire before the first light, made some coffee and anticipated what it might look like and what had happened around our community. As the light came I stepped out to a changed world. I knew Katie's cabin out back had been hit, I just wasn't sure how bad it was. The first thing I saw was the little greenhouse nailed by a limb. Katie's cabin was covered by a tree but miraculously unharmed. Across the street my neighbor's had been hit by a huge oak that was now laying on his house. As I continued making my way through town I saw trees down everywhere, blocking all the roads and hanging on power lines. The power was out and the phones were down. We had no way to drive away and widow makers hung over our heads. Life became simple, back to the basics, really fast. It was all about helping each other --sharing, supporting, working together. This went on for eight days. It was a big experience to sharpen the reality to not only the power of nature but also to the power we have as a community. I realized how my wood stove is a priceless friend and how simple the need for food, water and shelter are. It seems so important to bring this into our education, becoming stronger and less dependent on things we might not really need but want. The curious thing is that this had all started on the first day of Spring. Eventually the weather cleared, the roads opened and the phones came back on. A call came through from our Native Elder and I was soon gathering willow for a sweat lodge. It was time to rebuild the one that had been used for many years. It is always an honor to be asked to help our elders. In the dark, literally, for daysit was like coming out into the light as we started bending the poles into the shape of the lodge. Once again we were working together, for the benefit of everyone and in a sacred and respectful way. For three nights people came from all different directions to share in the spring ceremony; which is the time for renewal. The fourth day was the ancient Bear Dance ceremony in the roundhouse at Yosemite Valley - where once again people come from all around to appreciate life, promote healing and simply be together in a community. For me this brings everything together - that's why we say "To All Our Relations," referring to Earth, plant life, rocks, water, animal life. It is an honoring of the sacred reality of our universal connection. In nature's way everything is talking and we just need to remember how to listen and respect. The trees that fell around El Portal were a reminder, once again, that we all live here together and are counting on each other; that's our job. In my mind that's why Sacred Rok exists, to help our youth and ourselves to remember how to work together and take responsibility to respect life. As we look forward to the youth returning this season, we are in a fund-raising mode. We were fortunate to receive word this month about a new grant from Clifbar, which will support trips with some of our Merced youth. It is really appreciated at a time when the agencies we work with are facing severe funding cuts. At this time, in exchange for a donation, we would like to offer our Scared Rok T-shirt along with a photograph ,taken by me, from Tuolumne Meadows that represent the magic and beauty of these mountains, as well as a memory of climbing up the center of that dome at age 14 with my brother Mitch who was 16 at the time. 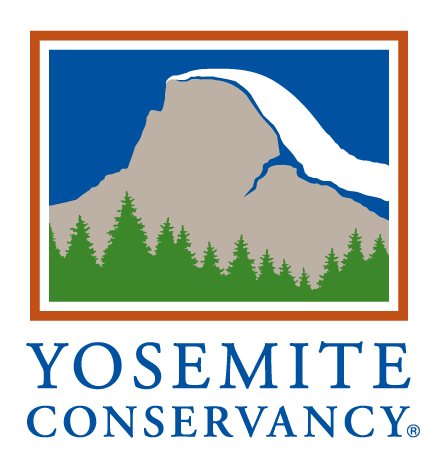 Your donation will be used to help bring kids to Tuolumne Meadows this summer. A $50 donation gives you the choice of either a T-shirt (S, M, L, XL) or a matted photograph. A $75 donation gets you both!